Eric N. Fiegenbaum wears his father's hat. All photos from Fiegenbaum-Gerber family; all rights reserved. 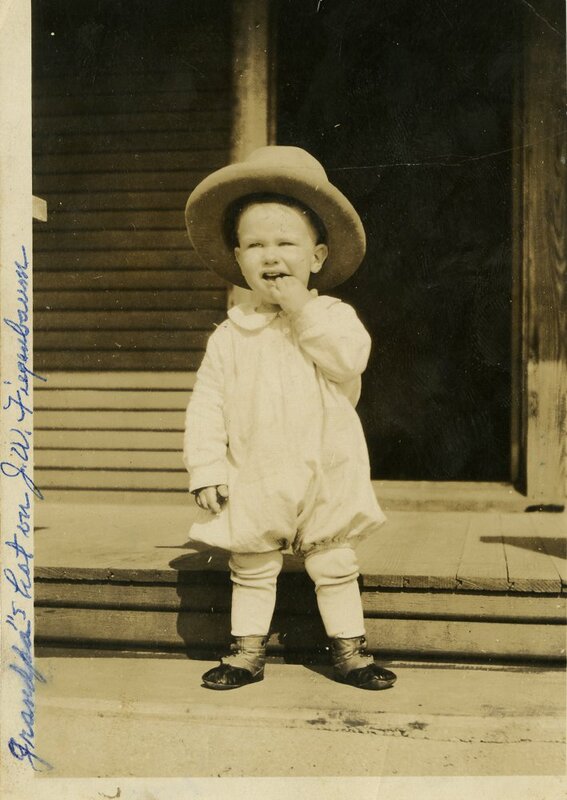 Joyce E. Fiegenbaum wears her grandfather's hat (& shoes?). John Henry Fiegenbaum was the father of J. W. Fiegenbaum and the grandfather of Joyce Ellen Fiegenbaum and Eric N. Fiegenbaum. It is John's hat (not the exact same hat, but it still belongs to him...you know what I mean, right?) which appears in photo 1 and photo 3. 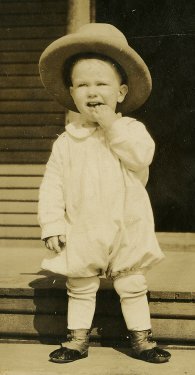 J. W. Fiegenbaum, who wore his father's hat in photo 1, was the father of Eric N. Fiegenbaum, who wore his father's hat in photo 2. 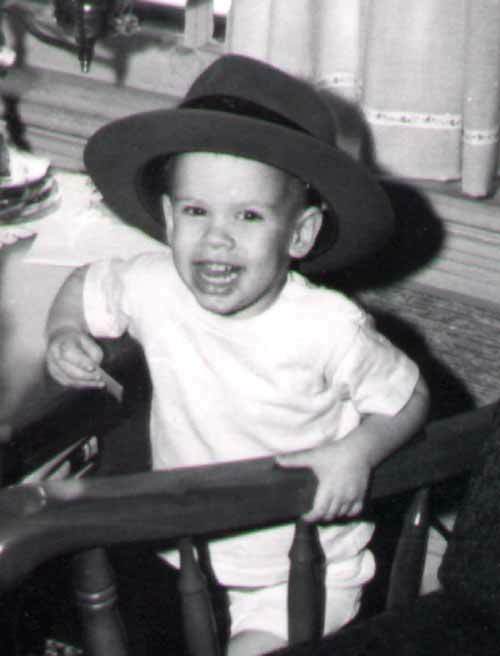 Maybe the tendancy to wear a hat is in the genes (or, the diapers).